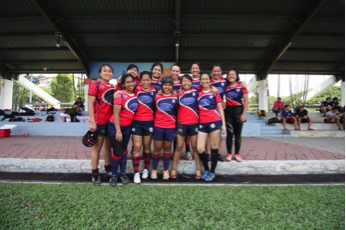 The Women’s Club 10s was played at the National University of Singapore (NUS) on 9th October 2016. With increasing participation of ladies in rugby, the tournament saw a total of 8 teams battling it out to be crowned the Club 10s Champions! 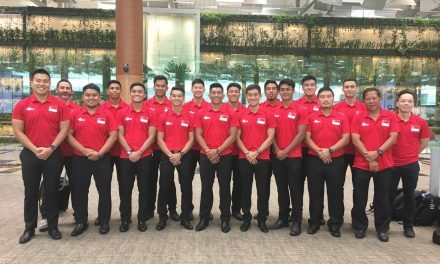 The day kicked off with the first two matches ending with a narrow 5-0 score with Nanyang Technological University (NTU) 2 and NUS beating Blacks and NTU 1 respectively. The pool matches ended with all three Bedok Kings teams placed in the Top 4 together with NTU 1. 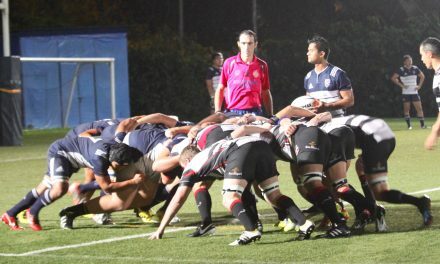 With Bedok 1 and Bedok 2 taking the field at Semi-final 1, several defensive errors by Bedok 2 allowed Bedok 1 to score the opening try within the first two minutes of the game. 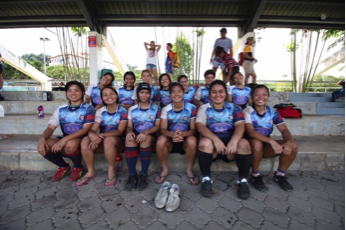 Their handling errors eventually caused them the game as Bedok 1 came on top with a 24-0 win. Semi-final 2 saw NTU 1 take on Bedok 3. 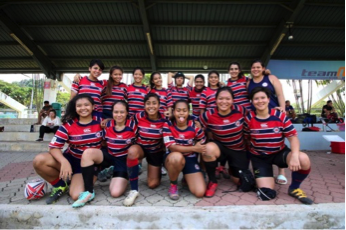 NTU 1 drew first blood by scoring the first two tries of the game however, the persistence and patience of Bedok 3 paid off as they came back to eventually draw the game at full time. 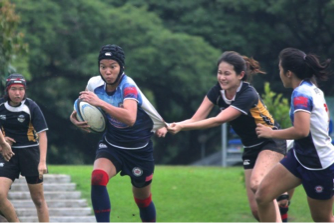 With the match going into sudden death, NTU 1’s strong support play finally broke through Bedok 3’s defence line, scoring the golden try. With Blacks and NUS facing off in the first Bottom 4 match, the match ended 7-7, going into what seemed like a “never-ending” sudden death. 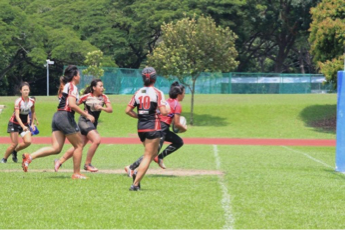 NUS battled it out with whatever that was left in their tank and rose to the occasion, scoring the sudden death try. The second Bottom 4 match saw Bucks taking on NTU 2. Bucks proved to be too strong for NTU 2 to handle to end the game at 36-0. The finals kicked off with Bedok 1 going up against NTU 1. The intensity of the match rocketed with big hits from both sides. 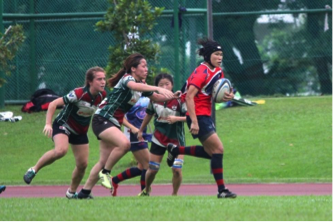 Handling errors by NTU 1 allowed Bedok 1 to turn-over the ball and scored the opening try of the game. But NTU 1 soon responded with a 30m sprint after breaking through Bedok 1’s defence, to score at the wing. A series of great support play and ball retention from Bedok 1 allowed them to pierce through NTU 1’s defence, scoring under the posts. With a successful conversion, the game ended 12-5 to Bedok 1.